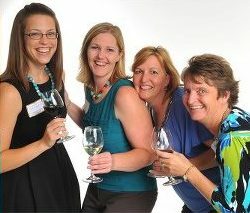 Women Who Wine DSM – “WWW DSM is a group of interesting and intelligent women in the Des moines and surrounding areas looking to relax, make new friends, recruit volunteers, grow their professional network, and so much more. And of course, enjoy great wine!” This monthly event is held at various locations around the Des Moines Metro Area. $20 includes two glasses of wine and appetizers. Join their Meetup Group to be notified of events. Chamber Regional Business After Hours – You’ll have to check out the Greater Des Moines Partnership’s website to find out when and where they are. The great thing is that this event is members of all Chambers are invited to attend AND it’s free for non-members to attend. The networking is GREAT! Central Iowa Bloggers is a group of tech, social media,Des Moines and marketing enthusiasts who meet on the first Friday of every month at the Panera on University in West Des Moines. FREE to attend, but I’m sure you’ll want a cup of coffee! Chocolate Connection Networking “Chocolate Connection Networking (CCN) is stylish networking for women in business that encourages the exchange of shared interests and innovative ideas with the help of chocolate and wine! Occurring every month, CCN brings together fun, successful women just like you for a fabulous evening devoted to sharing ideas, building connections and making new friends.” This group meets monthly at Chocolaterie Stam. Check out their Facebook page for event announcements. Once you’ve attended an event, you’ll begin receiving the Eventbrite announcements via email. $8 to attend. Includes snacks provided by In the Bag and wine tastes by Van Wijk Winery. Multicultural Reception – Another great event organized by the Greater Des Moines Partnership occuring on a quarterly basis and held at various locations throughout the Des Moines area. FREE to attend and usually includes appetizers and GREAT networking! Central Iowa Business Breakfast and More – The Small Business Administration hosts this quarterly breakfast at various locations throughout the Des Moines Metro Area. Sponsors: Small Business Administration, SCORE, Iowa Econonomic Development Authority – Targeted Small Business. $12 for the breakfast – think eggs, bacon, hashbrowns and fruit!!! 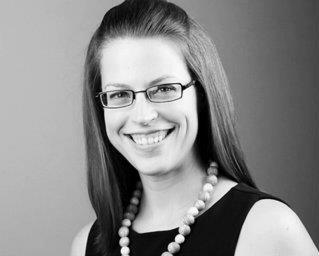 TechBrew – organized on a monthly basis by the Technology Association of Iowa. Held from 5-7pm at Dos Rios. “…an informal gathering of entrepreneurs, technologists, business people and funders getting together to talk over a beer (social lubrication).” FREE to attend.